With over 20 years’ experience of working in not-for-profit organisations, Katrina is a qualified accountant and governance professional with experience in all aspects of leadership and management including the setting up a new housing association to take the housing stock transferring from the local authority and a key role in the merger of three small, independent organisations into one and the subsequent development of a group structure. Katrina was previously Deputy Chief Executive at Tai Ceredigion and Mid Wales Housing Association. 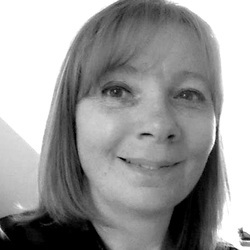 Katrina is an experienced Board Member for various national not-for-profit organisations in Wales, including Independent Member of Audit Committee (Arts Council of Wales), Finance Advisory Group Member to Regulatory Board of Wales, West Wales Credit Union, MudiadMeithrin, TaiHafan. Katrina has also been Executive Forum Member of CIPFA in Walesincluding Chair for 1 year. Katrinahas also held wider roles in representing finance professionals in the housing sector in Wales and the UK and has co-authored a number of publications. Katrina is also a qualified business coach.